I hope you all had a happy and healthy Halloween. The Old Gods were truly present, and there were many ghouls and ghosts present throughout the day. My Halloween turned out to be pretty good. 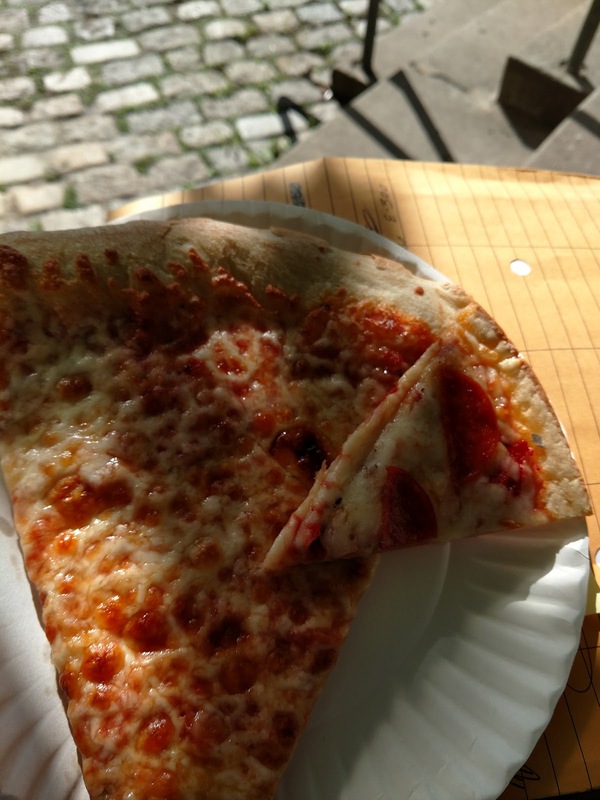 At lunch the pizza guy gave me a "sample slice" of a tiny pepperoni pizza. Not sure why, but maybe he was in the Halloween spirit! 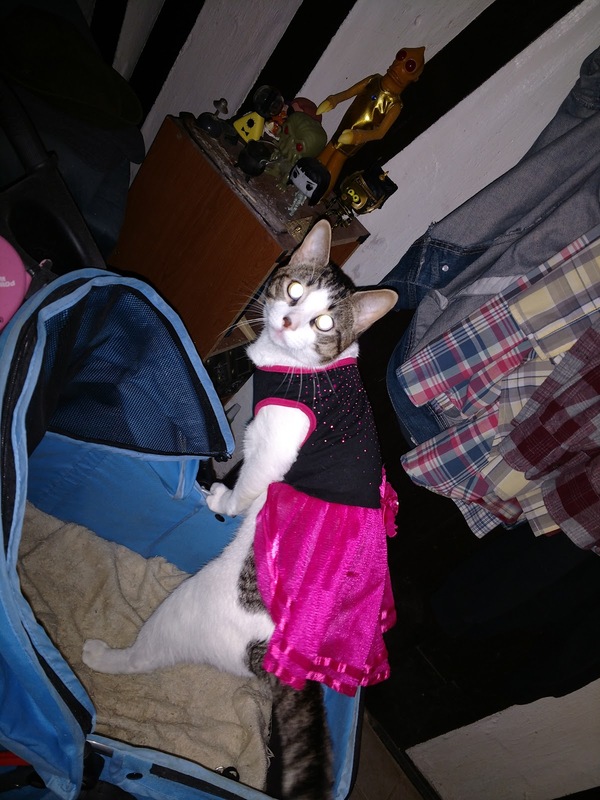 My cat Sebastian dressed up as a cheerleader (against his will) and even went out trick-or-treating with my girlfriend and her nephew. Sebastian had a great time, but no one had any treats for him so I had to get a bag of Temptations on my way home from work. 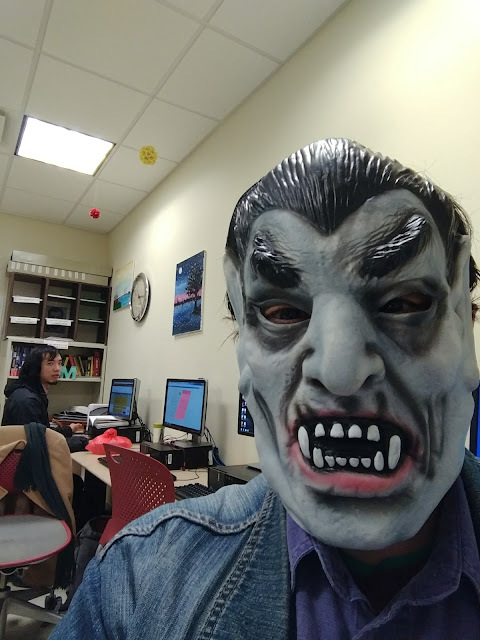 I wore my Dracula mask to work, and my co-workers stared upon me with great confusion, but also an exasperated acceptance. There was of course some woefully gruesome news as some nutcase went on a killing spree in Lower Manhattan just a few hours before the annual parade. Thankfully, he's in custody, but it's a terrible tragedy that people were killed so needlessly. The parade still went on, as scheduled, but I'm unsure how to feel about it. Maybe there isn't a right way to feel about it. I also heard somewhere that the general feeling towards Halloween is waning a bit, and I wonder why. It might be something I have to dig more into as my curiosity wanders. 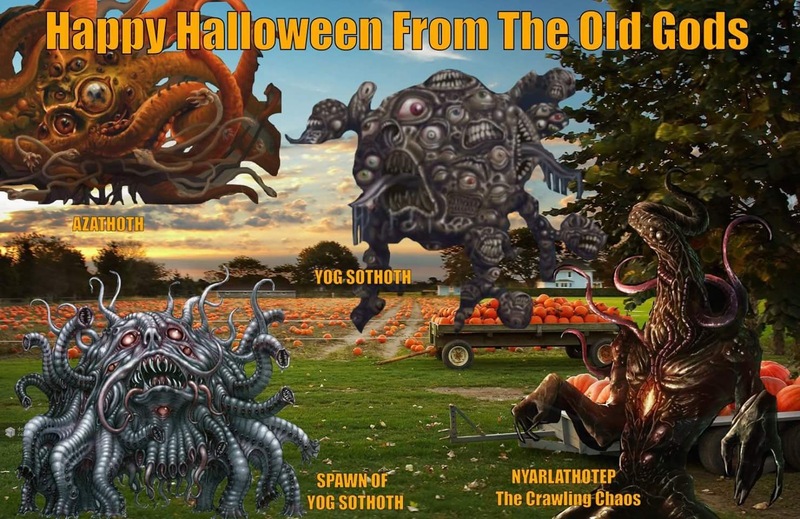 So, once again I hope you all had a fantastic Halloween! Now we are in the month of my birth; let's see what wonders occur.